Tiger Bakery – Newmarket, Victoria | rubybeanx. I was YouTubing Charlie Sheen the other night. And like any self respecting foodie would do, I immediately related Charlie Sheen to delicious food. Tiger Blood he says? I say Tiger Bread! There’s a Vietnamese bakery on the corner of Racecourse Road and Pin Oak Crescent in Newmarket (around the corner from Laksa King). It’s bright orange and says TIGER BREAD with a goofy picture of a tiger holding bread. I don’t know HOW people miss this place, but I guess it blends in amongst the plethora of weird things and crazy people in Flemington. As the name suggests, they sell bread, and they namely sell Tiger bread. 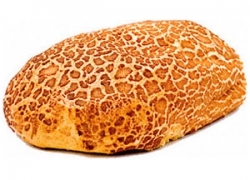 Tiger bread is super super crunchy white bread, with an orange crackly crust that resembles the pattern of tiger skin. This bakery also makes the infamous Vietnamese pork rolls, the rolls which some of you may recall made news headlines quite a few years back for killing a few people from salmonella. But don’t worry, whatever doesn’t kill you only makes you stronger! I’m kidding, it’s all fine – this is one of the cleanest Vietnamese bakeries I’ve seen. Anyways, they make their pork rolls in one of these Tiger bread rolls with deliciously yellow mayonnaise, thick pate, 3 different kinds of pork, lovely pickled carrots, coriander, spring onion, optional chillies and a swig of soy sauce. If you’re not keen on the cold meats, you can have it with awesome bbq pork or bbq chicken. 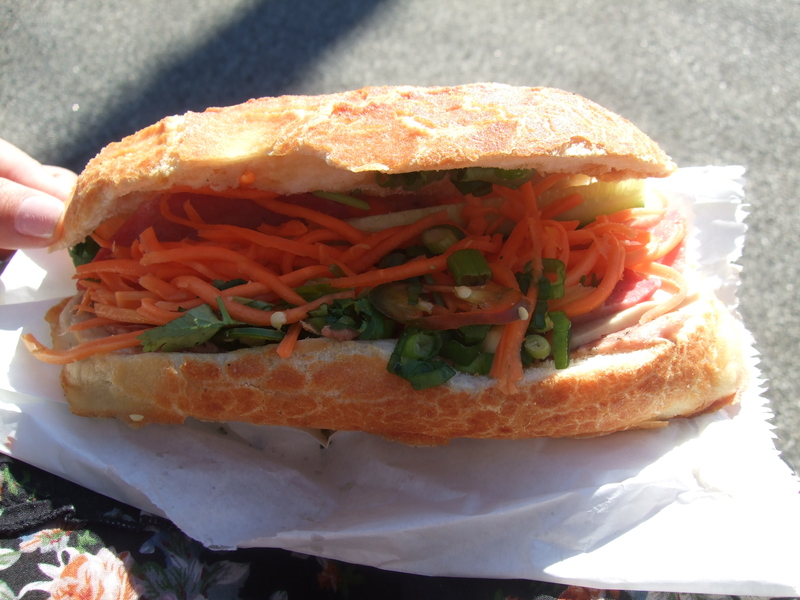 If you’re not keen on the Vietnameseness of it all, you can have a roll with ham and beetroot. All options are fantastic because the bread is super fantastic! And! They’re only $4. If you’re a cheapskate, you’ll probably notice that it is a bit more expensive than most Vietnamese bakeries, but none of them serve Charlie Sheen certified Tiger Bread. This bread isn’t bi-polar, it’s bi-winning. Tags: bakery, bread, cheap eats, Flemington, tiger bread, Victoria, Vietnamese. Bookmark the permalink. Looks more like a leopard, but I love your review Mish. Keep it up. lol. yeah you’re right!! haha but leopard bread just doesn’t have the same ring to it!